Contract Design Table Manufacturers products and websites. you can use this directory as a print catalog reference. AGI Industries Allsteel Alma Altura Studios Inc.
American Furniture Systems Inc. Amtab Mfg. 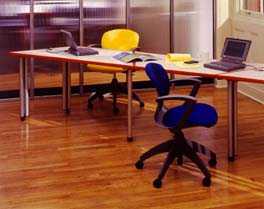 Co. Anderson Desk Inc.
Bretford Manufacturing, Inc. Brown Office Systems, Inc.
Bernhardt Furniture Co. BMC, Inc. Bretford Manufacturing, Inc.
Domore Corporation DSI Industries Inc.
Falcon Products Furniture Source Intl. Health Design HLF Furniture Inc. Jeffrey-Craig Ltd.
Campbell Contract Cardinal Office Systems Continuum, Inc.
Berco Tableworks BMC, Inc. Bretford Manufacturing, Inc.